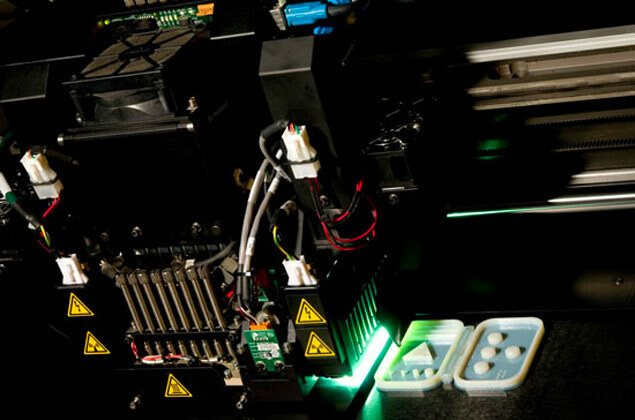 Polyjet | 3D Printed Parts | GoProto, Inc.
Polyjet printing is an additive jetting process utilizing liquid photopolymers deposited in droplets and then cured with a UV light source layer by layer. Polyjet parts are highly accurate with great surface finish, providing a realistic appearance. They are used for form and fit checking, limited mechanical use, master patterns for cast urethane, or for cosmetic models when sanded and painted. CAVEATS: Polyjet parts are not as strong as SLA, FDM or SLS. They are prone to warpage due to moisture and heat. Need polyjet printing now? Contact us—we’ll go ahead and give you a quote.